The Job Hunt: Resources (6) | What can I do with a B.A. in Japanese Studies? In six previous articles, we introduced a number of sites that are helpful for finding Japan-related jobs. This week we’re providing more resources we’ve found across the web, either from general searches or Japanese Studies university webpages. If you’re looking for new ideas about what kind of jobs are out there and where to search, some of these places may be good ones to start. There is some information about the sites at a glance, as well as brief comments from users who sent the links our way. For questions about the specifics of each company, please contact the site administrators directly. The usual caveats of Craigslist apply here. There’s a lot of part-time or short-term contract work, along with tons of AV and modelling stuff. Also some engineering. May be worth a look now and then, but remember to be careful of scams! This site doesn’t have as many postings compared to other sites, and focuses mostly on teaching, tech, and bilingual positions. Most are for people in Japan already but you never know when something good might pop up. Still updates very regularly. There’s not a lot of jobs listed on Tokyo Notice Board and it updates sporadically, but is still active. Their listings are in English and worth a look at occasionally. They also include classifieds for sales, accommodations, language lessons, etc. That’s it for now– more soon! Have any other sites you frequently use or have heard about that we didn’t list above or in previous articles? Please send us an email at shinpai.deshou@gmail.com and let us know so we can include it in a future post! 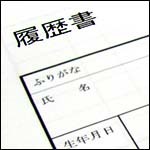 This entry was posted in applications, graduate school, jobs, main posts, undergraduate, useful links and tagged Japan, job hunting, jobs, resources, United States. Bookmark the permalink. Pingback: The Job Hunt: Resources (7) | What can I do with a B.A. in Japanese Studies?